6 August 2016- Sukhminderpal Singh Grewal National Secretary Bharatiya Janata Party Kisan Morcha strongly condemned the hideous act of shooting RSS Punjab Chief Jagdish Gagneja in Jalandhar who is said to be critical with 3 close range bullet injuries. Grewal said the state of Law and Order in Punjab is in shambolic state and one after one acts of crime by organised mafia of Punjab hints at political patronage of these organised criminals groups. Grewal further pointed out the series of deadly acts previously carried out by the mafia in Punjab in which Mata Chand Kaur of Namdhari samaj was shot from close range at bhaini Sahib and a few weeks later a convoy of Sikh preacher Sant Dhandriwale was attacked and in which his close was shot dead. Grewal said the state of security of life in Punjab is at lowest and it doesn’t look like it will get better until the coming elections . 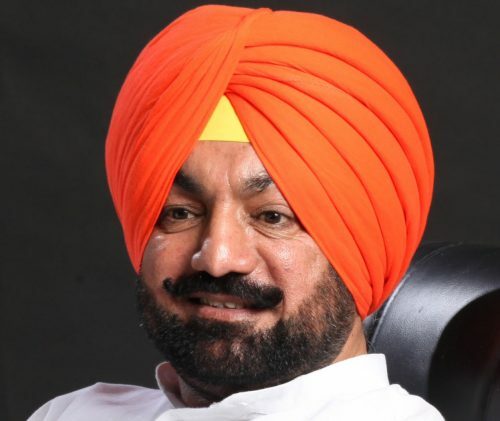 Grewal asked the Home Minister Sukhbir Singh Badal to come forward and take responsibility. Grewal said Brigadier Jagdish Jagneja is a national hero and fought wars for his country. He is a braveheart and this act won’t detoriate his love for India and Punjab. He said we aIl pray for his early recovery.